Bitdefender Antivirus for Mac is a software that protects computers from viruses and other Internet threats. It provides a 30 day free trial, so most users can easily decide to have a try and install it on their Macs. The application ran again after reboot. In fact, most antivirus softwares leave junk files on the computer after being deleted. These files can be in the form of launch agents, login items, and other system extensions. Some antivirus software provide their uninstaller that can clean up the system, but even they are not always helpful in solving the problem. We have already reviewed how to uninstall Avast Antivirus,Norton Security, and Mackeeper. Today it’s time to tell how to completely remove Bitdefender Antivirus from Mac. Uninstall Bitdefender Antivirus using its native uninstaller. 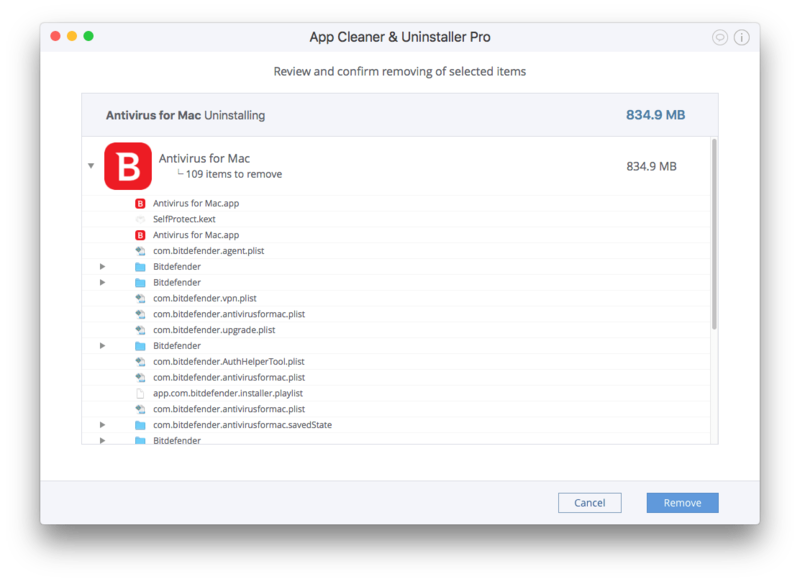 Uninstall Bitdefender Antivirus using App Cleaner & Uninstaller. We have prepared for you detailed tutorials of how to uninstall Bitdefender Antivirus. But, first, you should know that the removal steps depend on which version of the antivirus you use. Since its latest update in June 2017, Bitdefender Antivirus has changed its protection system. A special watching program has been implemented with Bitdefender Antivirus, which restores its service files whenever you try to remove them. It has several protecting items, which don’t allow the program to be uninstalled completely. As a result, any sandboxed uninstalling tool can’t stop the Bitdefender’s aggressive protection system. But don’t worry, we have researched this issue and have found a solution for you. Before starting the removal process, you should turn off the Bitdefender autopilot and quit the program. Then Launch the Bitdefender uninstaller. You will see a popup window about application removal. Click the Uninstall button. The system will ask you confirm the process. Type your password and click OK.
Then the uninstalling process will start automatically. It may take a few seconds to a minute. When it finishes, click Close. Well, you may think that was the last step in the removal process; however, it wasn’t. Even though the developer says that after these steps the antivirus software will be removed from your Mac completely, in fact, we have noticed that some service files still remain in your macOS system. To find them, open the Finder Window → go to Macintosh HD → Library. 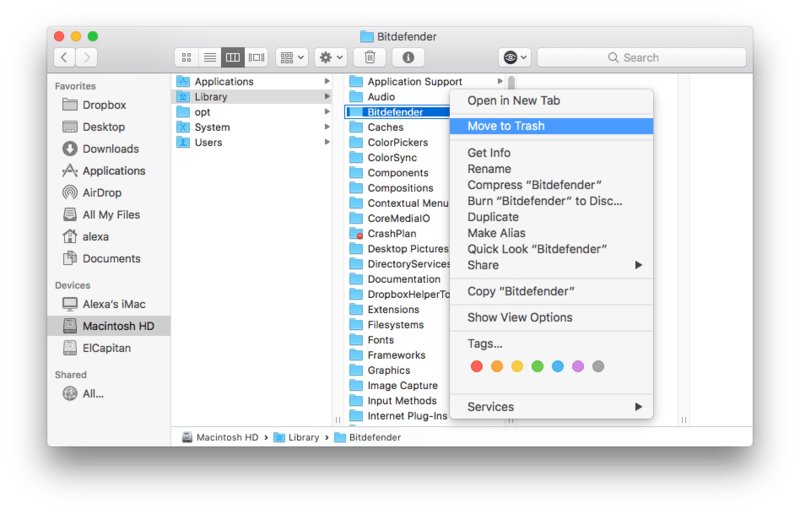 If you see a the Bitdefender folder, select it and move it to Trash. Now go to the Application Support folder and find the Antivirus for Mac subfolder, which keeps the program’s service files (logs, quarantines, settings). Remove it, too. App Cleaner & Uninstaller is a tool to uninstall applications on Mac completely, find remains and operate login items, launch programs, and other system extensions. It allows you to find all system files that apps usually leave on your Mac when you remove them in a regular way. This means that with App Cleaner & Uninstaller you can get rid of all service files of Bitdefender Antivirus that may be stored in different rambling folders. Quit Bitdefender and close all its processes that may work in the background. For this, use Activity Monitor. 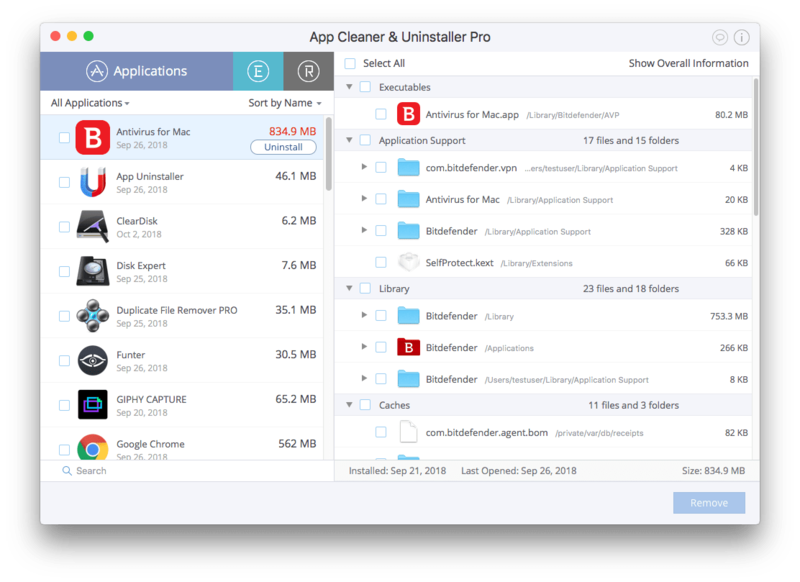 Then launch App Cleaner & Uninstaller and select Bitdefender Antivirus from the list of apps. Click to uninstall it. Preview the selected files and confirm the removal. 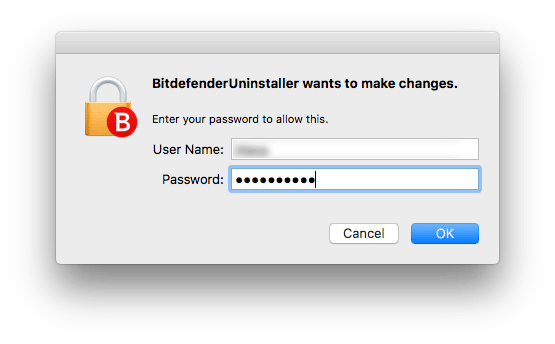 After these steps, Bitdefender Antivirus will be removed from your Mac completely. If you have removed Bitdefender Antivirus before using its native uninstaller, you can find its leftovers. On the screenshot below, you can view the results of the leftovers App Cleaner & Uninstaller has found. 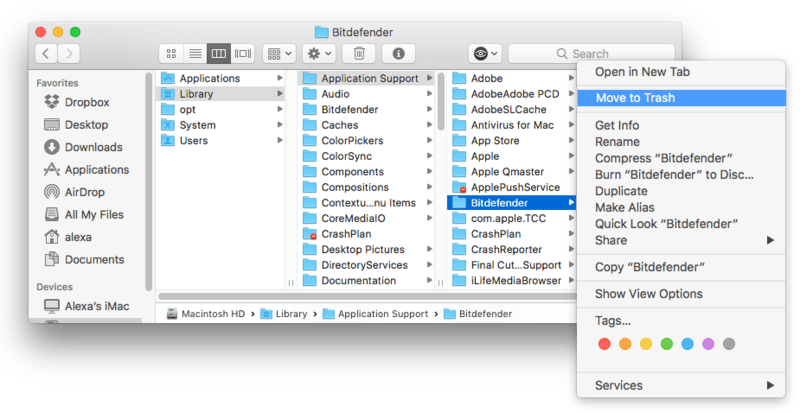 As you can see, there is a list of useless files that Bitdefender has left on your Mac after using its native uninstaller. Fortunately, you can find and remove them totally with the removal tool from Nektony.